Volkswagen Beetle Cabriolet Review 2019 | What Car? 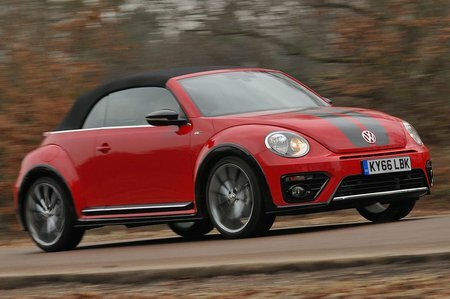 It would be easy to dismiss the VW Beetle Cabriolet as more fashion accessory than transport solution, what with those cute round headlights, the contrasting roof, and the glossy trim finish in the cabin. 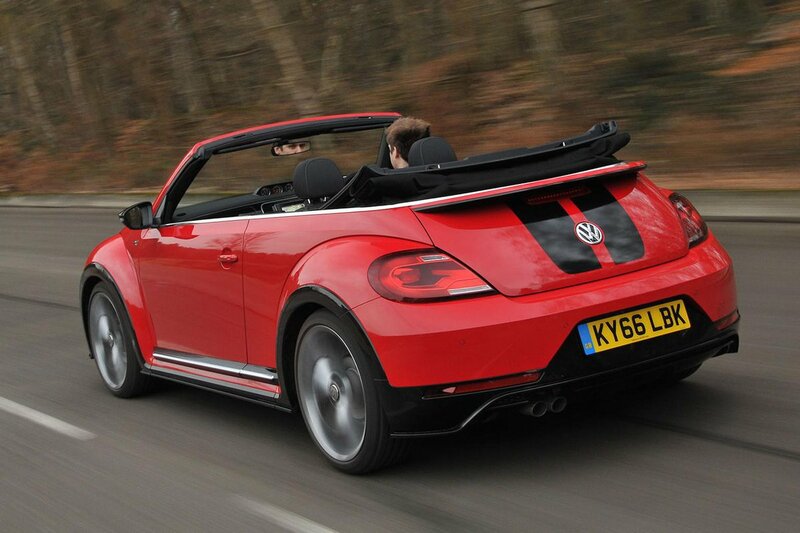 But despite the image-first attitude, the Beetle’s on-paper specifics promise a fairly rounded car by the typically quite limited standards of the soft-top class. Four seats, a usable boot capacity, generous standard equipment and an engine range that includes turbocharged petrols in 1.2 and 1.4-litre capacity, and a 2.0-litre diesel, all tick some practical boxes. The Beetle’s biggest problem is the Mini Cabriolet, which offers the style factor, four seats, better performance and a fully retractable roof, for quite a bit less cash up front. A DS 3 Cab and a Fiat 500C might also fall into the same fashionable fold, but they have fixed arches and a scrolling roof instead, and are notably smaller. Otherwise, if you can stand to set aside the chic image and level of personalisation offered by the Beetle and its key rivals, there are straightforward convertible hatches like the Audi A3 Convertible that are well worth considering – albeit more expensive. Read on over the next few pages to get our in depth impressions, along with our recommendations for trim levels and engines.